When you require a key extraction, think of Fort Worth Locksmith Pros. We work as automotive, residential, and commercial locksmiths serving Fort Worth, TX and surrounding communities as a comprehensive 24/7 locksmith service. Our reputation for fast and friendly, 30 min response times to requests for service means that our highly skilled mobile locksmiths receive many requests to provide services for homeowners and commercial enterprises in this area. We are bonded, licensed, and insured, and we will not let you down. What is a Broken Key and When do These Incidents Occur? 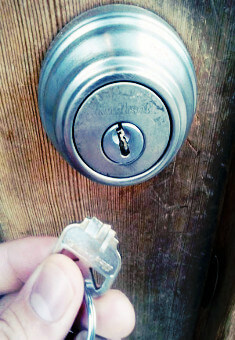 A broken key in lock situation occurs more often than many people realize. Broken keys can occur in many settings: residential, commercial and even automotive. This situation often proves exasperating for property owners, because locks do not function correctly when broken parts of keys jam the locking mechanisms. Why do these incidents occur? During the process of key cutting and/or key duplication, in order to match the unique requirements of a lock with the conformation of its key, manufacturers must make a series of sharp cuts that form jagged edges along both sides of the key. Some of these cuts extend more deeply into the key than others. Damage sometimes occurs in keys that experience hard use or extensive pressure repeatedly, and signs of potential weaknesses usually appear first along the surface of the key near very deep cuts. If you notice visible changes or cracks appearing in any of your keys, it is probably time to order duplicate keys. If the worst case scenario happens and the key gets jammed in the lock, you can call upon us to perform a professional key extraction that will not damage your locks or ignition. We also make spare keys and can provide duplicate keys for all makes and models of vehicles, including foreign and domestic ones. Keys may break at inconvenient times, but it helps to know that our mobile service will travel to your location in the greater Fort Worth area to provide prompt, courteous, and professional assistance. Our upfront pricing policy brings peace of mind to clients about the total charges for our services. You will receive a fair estimate for all locksmithing services before we commence work and you will not incur unpleasant surprises when you review our bill afterwards. 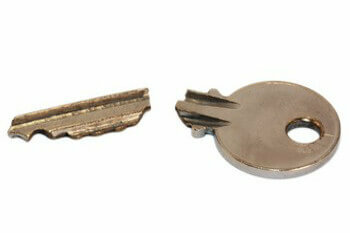 We also provide a key cutting service to make spare keys. Our locksmiths will respond quickly to requests to resolve a broken key issue involving a residential or commercial interior or exterior lock at any hour of the day or night. You cannot always predict when a key will break, but you can count on one thing for sure: if this unfortunate event occurs, you can depend on Fort Worth Locksmith Pros to solve a broken key problem! Fort Worth Locksmith Pros possesses the experience and specialized equipment to perform safe key extractions on automobiles also. 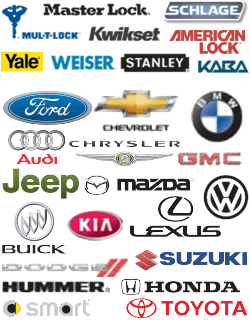 We service all makes and models of vehicles, foreign and domestic. We can extract broken car keys safely without damaging your ignition, your vehicle doors, or your trunk. We also offer car key duplication services so that you can obtain a replacement set of car keys quickly and economically. When you experience a problem involving a lock or key, you can rely upon our capable, mobile locksmiths. We serve Fort Worth, TX and surrounding areas, performing comprehensive locksmith services for homes, cars, and businesses, including key extractions. We are full service residential, commercial, and auto locksmiths in Fort Worth. Our expert technicians make your service call a priority. They will answer with a 30 min response time. When you require the assistance of licensed, bonded, and insured locksmithing professionals, you can depend on us. We will furnish up front pricing and capable, honest, fast and friendly service to meet all of your locksmithing needs. Home, Office, and Car Key Extractions http://locksmithftworthtx.com/key-extractions/ 3.8/5 based upon 10 reviews.